OFM's RiZe 1 x 2 Privacy Station gives you a quiet and private study area for up to two students. This carrel has textured vinyl walls that are easy to clean. The two thermofused melamine work surfaces are supported by a 2" thick steel frame. Each desk comes with a mobile file cabinet so you can keep important papers close at hand. Link your unit to other Privacy Stations to quickly create a study area for multiple students. A wire management track keeps cords out of the way. 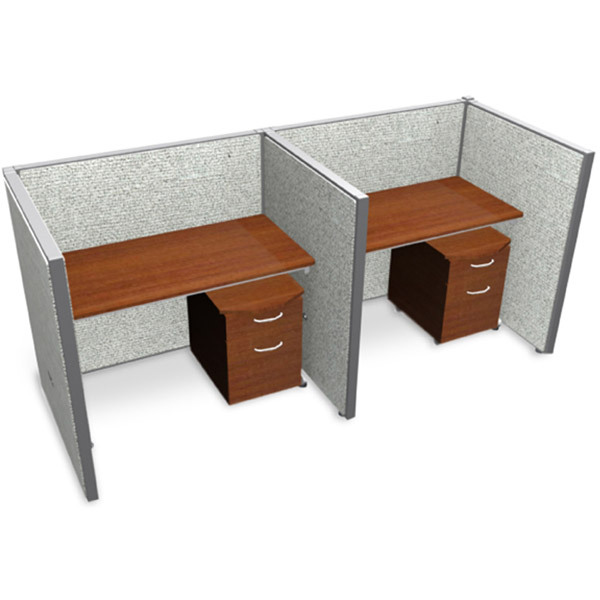 This OFM RiZe 1 x 2 Privacy Station has 47" high full-vinyl walls and two 4' wide desks. Choose from several wall and desk colors.